In Blizzard Entertainment?s Diablo? and Diablo II, the recurring character of Deckard Cain delivered quests, accompanied the brave adventurer, and, as the last of the Horadrim, provided a link to the greater history of the world of Sanctuary. Ever mysterious during these appearances, Cain hinted at a larger story, providing snippets of it in his notebook. 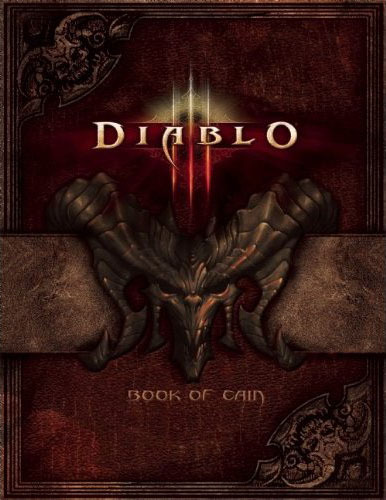 Diablo III: Book of Cain is Cain?s formal record of this greater tale—a dissertation on the lore of the Diablo universe, told by one who has witnessed and participated in some of the epic events that make up the eternal conflict between the High Heavens and the Burning Hells. Designed as an ?in-world? artifact from the Diablo universe, Diablo III: Book of Cain includes Cain?s revealing meditations, as well as dozens of sketches and color artworks depicting the angelic and demonic beings who wage constant war with one another. For players of the eagerly anticipated Diablo III, this mysterious tome will provide a deeper understanding of the franchise and its storyline. 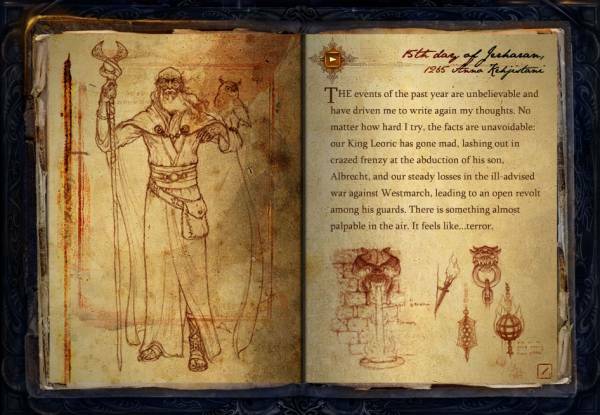 That description references “Cain’s notebook” which is presumably Deckard Cain’s Journal, a 34-page, illustration-packed diary-like creation that Blizzard posted on the Diablo 3 site shortly after its launch. You see an image of it to the right, taken from our image gallery of the journal. That journal is a first person account, by Deckard Cain, of the plot events of Diablo I and Diablo II. There’s no new plot info in it, or anything from Diablo III or any plot/lore events that weren’t covered in D1/D2/D2X, but it’s a nice presentation. There’s plenty of artwork in it too, mostly illustrations of Diablo III things that aren’t necessarily related to what the words are describing. We have no idea how closely this new Book of Cain will hew to the online version of Cain’s Journal, but it’s certainly a product to keep our eyes on. D3 Q&A Tester Reveals… Clever Fakery?